As many of us gear up for summer vacations with flip flops, sunglasses and sunscreen, I want to remind us of the journey offered in books. Words can take us places. Within their pages are invitations to journey not just to distant and magical lands but to places closer to home, to undiscovered holy sites within us. Dependent upon our imagination, openness and receptivity to the Spirit, books offer more than an escape but a way in to the deeper places. She was not putting words in my mouth. She was speaking for me, repeating what I had been saying to myself. The disappointment and disillusionment were palpable and I was not alone in this feeling. What a relief! Because the work of Christ must not be confused with Christ’s witness in us. Church attendance should not be confused with Christ’s being present and tending to us. The disconnect between Christ and transformation that causes me to groan most is that of the social construct of race. That we, as Christians, continue to color in his body, that we allow the social construct of race to segregate his members brings deep grief and disappointment. The power of Christ’s resurrection and our baptism into his new life is mocked here. Still it must be said and said again, there is no community as ‘races.’ No one holy race. No one human race. For race cancels out community and gets in the way of our seeing all as humans. The social construct of race says that there is no transformation. We are only and always socially colored beige, brown, black, red, yellow and white people. The stereotypes speak for us. And to make believing harder, we have no faith that God can change us when it comes to the social construct of race. The reach of Christ’s cross falls short here. But, it is simply impossible to be God’s people and colored people. 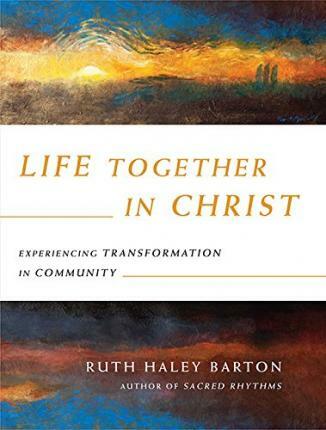 I have a deep longing for transformation in community. I want very much to experience life in Christ in ways previously unexplored and unexpressed. I want to be a new creature, changed by my travels with Christ. Returning home not with trinkets from my daily walk but testimonies of the difference that Christ has made in my life. Like the disciples on the road to Emmaus, I want my heart to burn when Christ speaks (c.f. Luke 24.32). I carry a collection of what I refer to as journey words. These are words that I have met along the way, that I have run into or have been introduced to, that speak to where I am supposed to be. Not only are they a source of encouragement but they keep me on track. These journey words remind me of my identity and place in the world. Barton’s book has affirmed the aim of my life. More than the trip of a lifetime, I believe that I will have arrived where I belong when I am in a community that is transformed, with me as its first member. Now carrying journey books in addition to journey words, my bag will be much heavier but the load will be lighter. Knowing that there are persons walking ahead of me, who have not only been there but remain has taken my spiritual life to new heights. I will not return the same.